The schedule for this class is outlined (tentatively) in the course syllabus. A more detailed, official, and up to date schedule will be maintained through a Google Calendar, which is embedded below. You may also find it useful to view this calendar in Google where you can import into your phone or other scheduling software. 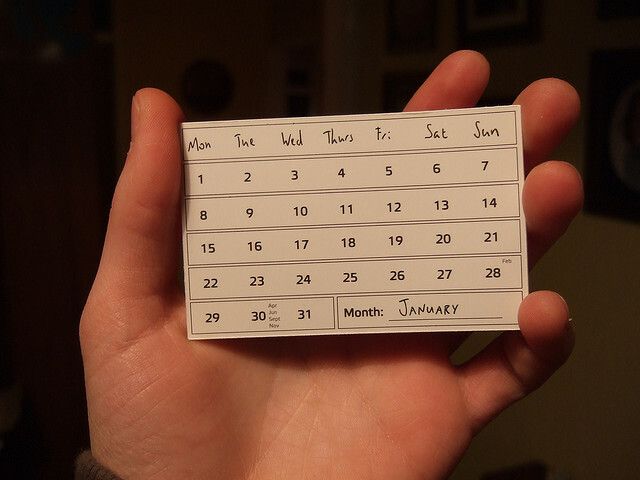 “Calendar Card” image by Flickr user Joe Lanman. CC BY.